“All Change Please! – A look at the Future of Rail” is the flagship event of the year for young rail engineers and apprentices. 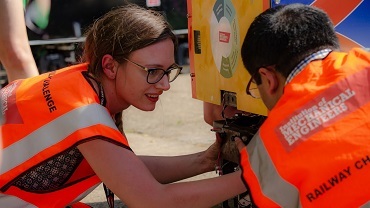 Through a range of presentations from industry leaders, interactive workshops, and invaluable networking opportunities, it allows attendees to better understand the possibilities when it comes to working in the rail industry. Focusing on the railway today, tomorrow, and into the future, you will learn what is happening throughout the industry, understand its principal challenges and how it is using engineering to overcome its problems. Most of all, you will leave feeling inspired by the newest innovations in the sector. As a platform to learn more about the industry in a professional environment, at very affordable prices, there is no better event. The recommended hotel for Young Engineers and Apprentices Railway Seminar attendees is the IBIS Northampton Centre (Mare Fair, Northampton NN1 1SR). 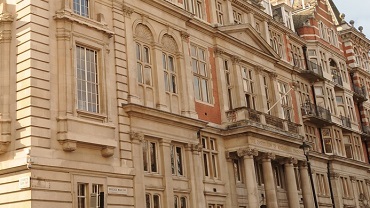 IMechE has secured a limited number of rooms for the night of 31st October at the preferential rate of £55 (inc. VAT) B&B single occupancy / £59 (inc. VAT) B&B twin occupancy. Please email eventenquiries@imeche.org for details or to reserve a room. N.B. Accommodation not included in the ticket prices - guests must settle their own accounts at the hotel. Preferential rate applies until 8th October. Supporting London Northwestern Railway, this is one of the key engineering support locations for Siemens UK. Over 70 trains are maintained and serviced on site, 67 of which are the fleet of London Midland-operated Siemens Desiro Class 350/1 and 350/2 which are based there. A number of Class 319 are also supported at this location. The site has a bogie drop and computerised wheel lathe. NTAR plays a leading role in the new railway skills development programmes, specialising in vital traction and rolling stock training. 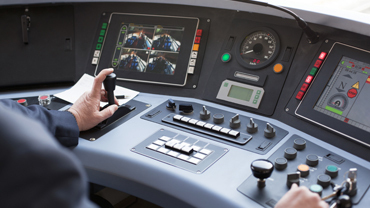 This hands-on tour will look at the various training facilities available, trialling the Virtual Reality and signalling train systems present. An opportunity to take a practical deep-dive into the key themes of rail today and tomorrow. Shamit Gaiger has a wide ranging roles across the sector. 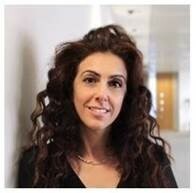 She is the Director of Strategy at National Skills Academy for Rail (NSAR), Programme Director; Sector Policy at RSSB, seconded to DFT to lead on the Rail Sector deal as a Deputy Director; Industrial Strategy and a Non-Executive Director and DFT Passenger Services Board. She has what some might think an unusual background for the railway industry; having worked on the floor of the London Stock Exchange as an analyst, and even including a spell of military service. Her first degree was in psychology and criminology, before taking a master’s degree in organisational behaviour at the London School of Economics. She has also worked for a major consultancy, advising diversification strategies and sitting on the boards of two foreign companies. She brings a fresh approach to her role, which has challenged the industry's conventional approach to strategic management. Shamit influenced and developed industry and government policy at the UK and European level including Franchising, Rail Industrial Strategy and CP planning. She led the development of the Rail Sector Skills Delivery Plan and headed the industry’s strategic programmes on, Innovation policy, Skills, Health and Wellbeing and Sustainable Development. Focusing on long term planning in response to the opportunities and challenges presented by the emerging legislation and, macro and micro economics. Stephen Barker is Engineering Director at the East West Railway Company (EWRCo), the government arm's length body charged with delivering the new Oxford - Cambridge East West Rail Link. He has been with EWRCo since its formation in January 2017. Stephen is a Chartered Civil Engineer and has over 25 years of experience in the railway industry. Prior to joining EWRCo, he was Business Development Director at Chiltern Railways. During his career, he has been heavily involved in the specification and delivery of numerous rail infrastructure upgrades schemes, ranging from modest station refurbishments to major route upgrades and line re-openings. 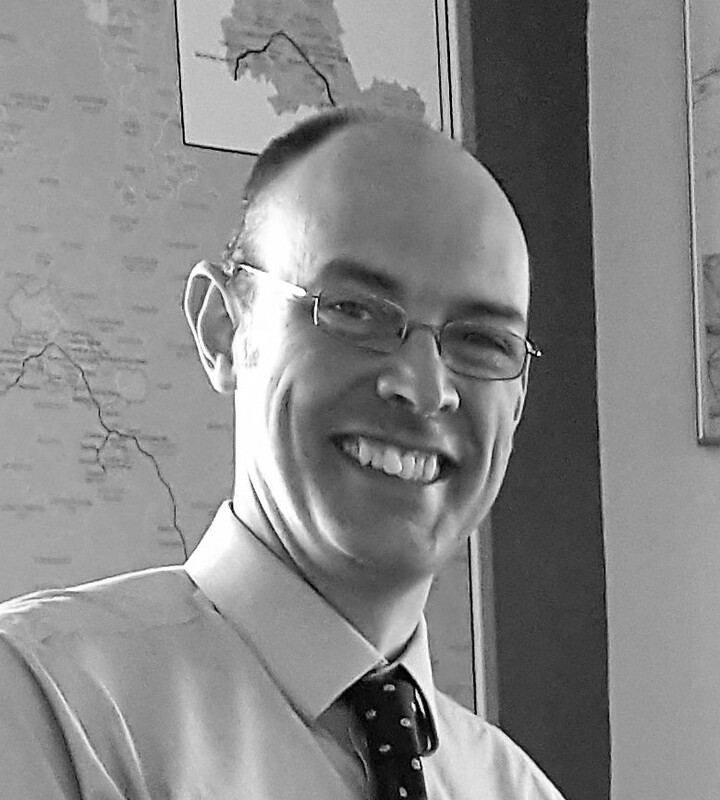 Justin Southcombe joined Perpetuum as Commercial Director in March 2014 after 18 years with Alstom. After launching the TrainTracer remote condition monitoring service at Alstom he then moved to the systems division, developing infrastructure maintenance business in the Middle East, France and the UK. Since joining Perpetuum projects have been launched in Australia, the Continent, the USA and in the UK, including new services such as onboard track monitoring and motor monitoring. 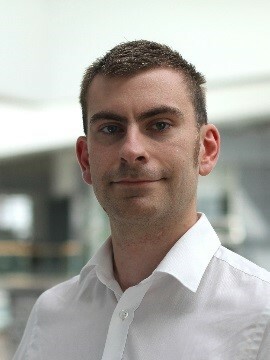 Justin holds a BEng (Hons) in Mechanical Engineering from the University of Surrey, an MBA from INSEAD and is a Chartered Engineer with the IMechE. 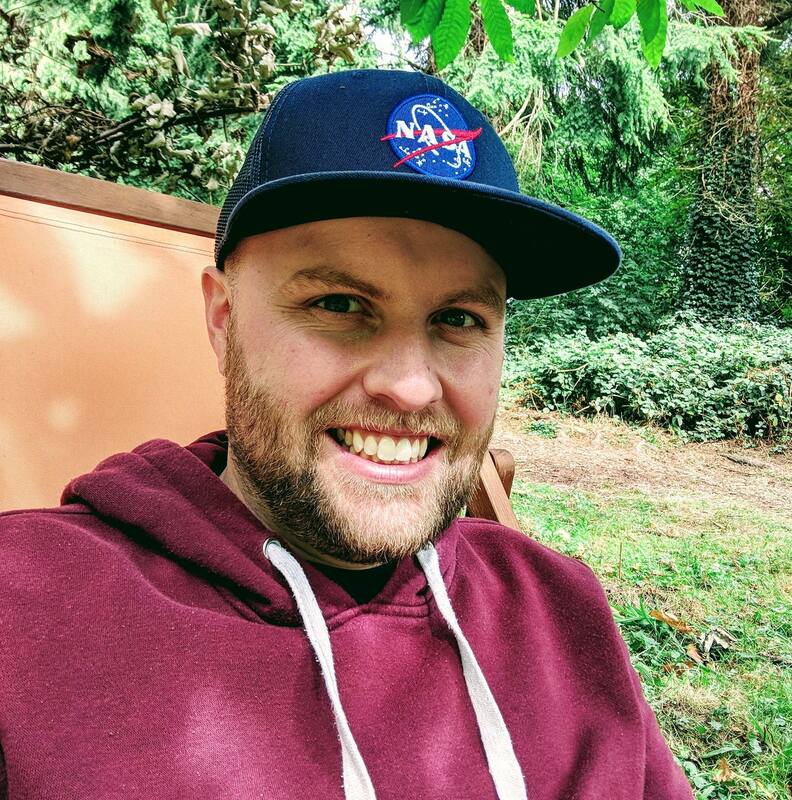 Nathan moved to Obsolescence Management in the mil/aero industry after 12 years in communication engineering. Joining Thales UK emerging ‘Obsolescence Group’ in 2008, he was at the forefront of developing and implementing strategies to support the UK’s naval radar and communication systems. Working on projects that included; In Flight Entertainment systems, simulators, Unmanned Air Vehicles and command & control systems. Having joined Transport for London (TfL) 3 years ago, he has been responsible for updating policies & processes, introducing an obsolescence standard as well as providing training to the business. Nathan is responsible for governance and instruction in the implementation of obsolescence management across TfL. 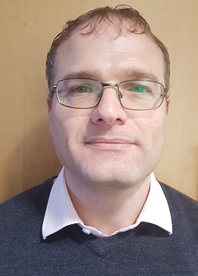 Rory Dickerson is a Senior Engineer for Traction & Rolling Stock in the Mechanical & Electrical Engineering department, part of the Safety, Technical & Engineering directorate at Network Rail. In his current role, Rory mainly focuses on railway systems, current and future traction systems, on-board storage, and European standards. Since joining Network Rail in 2011, Rory has worked in areas concerning ETCS, plant control systems, maintenance, and electrical design and safety for rolling stock. Prior to this, Rory was a visiting researcher at the Birmingham Centre for Railway Research and Education. Adam leads a start-up company, Apollo Rail – currently in stealth-mode – developing future train technologies. Adam has worked in rail for 9 years across infrastructure projects, train control, new rolling stock, remote condition monitoring, new technologies and business transformation. Adam was also Chairman of Young Rail Professionals in 2014/15 and Rail Person of the Year in 2016. 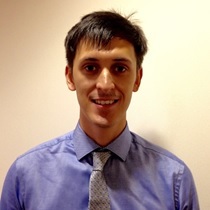 Justin Smith is a rolling stock engineer at Ricardo Rail, who has recently completed a 2-year graduate scheme. Preceding this he graduated with a master’s degree in mechanical engineering from the University of Sheffield. During his graduate scheme he has gained a wide-range of experience in the rail industry, including being the Project Engineer for Ricardo’s competition winning, maiden entry, into the IMechE Railway Challenge.